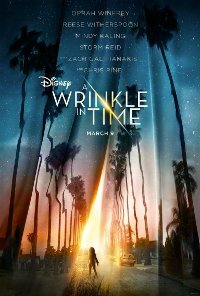 After a father becomes trapped in space, three unearthly ladies send his daughter, son and their best friend, on a space-time travelling mission to find dad and bring him safely home. This film is releasing in 2D and 3D. This is the 2D version. Violence Low impact, infrequent (fantastical, no blood-letting but could be disturbing to the younger viewers). 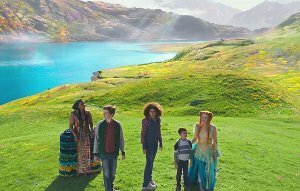 Comments The family fantasy, magical and light-hearted themes presented in an adventure context are carried in the film exploring issues of love, family, magic, bravery, heroism, friendship, teamwork, jealousy, good versus evil, teamwork, overcoming fear, self belief, trust and re-union. The themes carry a low sense of threat and menace which could potentially lead to the arousal of fear to the younger viewers. However, the themes do not have the potential of being morally harmful to the younger viewers as they are of a fantastical nature and they treated in ways that would be within their tolerance levels. The overall positive themes mitigate the negative themes such as fear, deceit and self-doubt. Therefore, a PG rating would be suitable as parental guidance would provide reassurance and assist further in explaining the context.